It was during the 17th century when the gambling game called roulette was introduced and played. 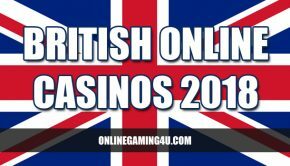 In the present year, it is considered one of the most popular gambling games not only in Europe, but worldwide as well. When players play roulette, they are betting against the ‘house’, which is a standard name for the casino operating the game. The casino is responsible for taking bets, holding the wagers and paying out when people win. The house sets up the table and will have a game host that spins the roulette wheel. However, in some online roulette games a host is not required. 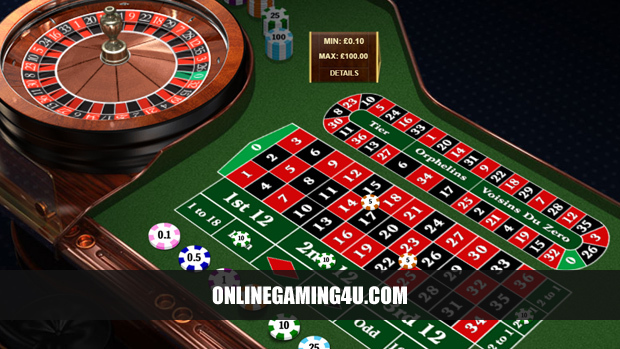 Playing roulette online has 2 versions of the game; live roulette and computerised roulette. Live roulette is a real roulette wheel with a game host, much like in a local casino venue. Whereas computerised roulette is a virtual wheel that the player spins themselves at the click of a button when all bets are placed. Live roulette is often played alongside multiple real players, and computerised roulette is primarily a solo game. The French and European roulette wheels have 37 ‘slots’. Thirty-six of which are for the numbers 1-36 and 1 slot is allocated for the zero. 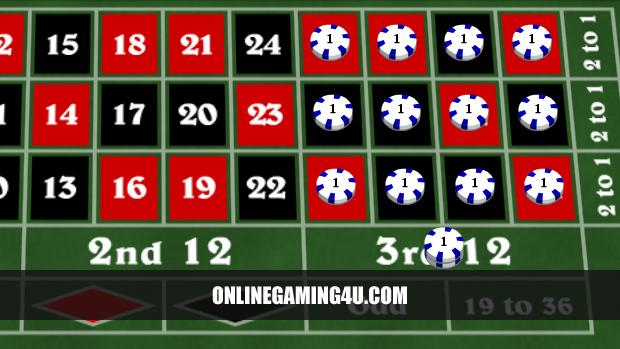 In the American version, roulette wheels have 38 slots, 36 for numbers 1 to 36, one slot for 0 and one slot for 00. Roulette is played with chips. A chip is a circle token as seen in poker. In some casino venues players can also bet directly with cash, particularly if they are betting or joining the game-round late. But overall, chips are used. Each casino creates their own chips and they are often unique to one venue. In most cases a chip is branded with the casino’s logo. Each chip has a cash value. Players can exchange cash for chips. Also known as ‘buying in’ to the game. For example, a player might swap a £10 note for ten chips, each with a value worth £1. When playing roulette in a local casino or live roulette online, multiple people are allowed to play on one table at the same time. In a local casino, each table has a maximum player limit of around 6 players. Whereas live roulette has no player-table limit. When a player buys in to a game of roulette, they are given chips with a unique colour. Each player gets a different colour so that chips are not mixed up amongst players. If a player wins, they will receive winnings in the same chip colour as they bet in. Chips can be converted back to cash at a casinos cash desk. Some chips have a number imprinted on them which represents the value of the chip itself. In some casinos and games, chips are coloured as to the value of the chip, e.g. £1 chips are a different colour from £10 chips and £50 chips and so on. If you want to play and win at roulette, you must guess where the ball will stop after each and every spin, also known as the ‘betting round’. Different players have different strategies when it comes to betting and winning at roulette. Overall, most players rely on luck, often with random number picks, whereas other will have their so-called ‘hot numbers’. Hot numbers can either be numbers that, from their playing experience, seem to win a lot, or numbers that mean something to them personally. Like a particular birthday, or date that is special to them. 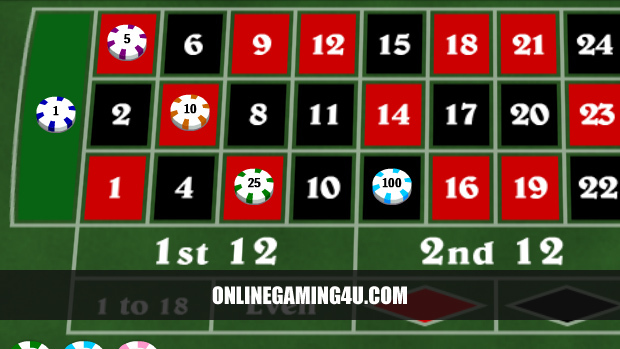 There are some players of roulette who believe in using a system, or strategy. Some of which are explained further in the article. 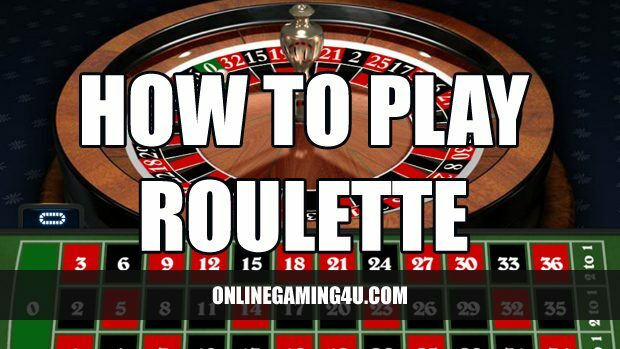 To start playing roulette, whether it be online or offline, you must first place a bet by placing your chips on the table next to the wheel. Bets are generally split in to 2 types – inside and outside. Inside bets are those placed directly on numbers, either individually or across multiple numbers. Whereas outside bets are those placed on the sections of the table ‘outside’ of the numbers, such as odd/even, red/black, first column and so on. Players can bet multiple times per betting round by placing their chips on multiple numbers or sections of the table. They can also change or cancel their bet at this stage. A limited amount of time is allocated to each betting round, where one or more players can place their bets. This can be anything from 10 seconds to 2 minutes depending on the game and the casino. This generally only applies to live roulette online or real roulette in a local casino. Computer, or virtual roulette, often allows an infinite amount of time for the player to place bets and press the button to spin the wheel when they are ready. When the betting round is closing, the game host (or computer) will announce “no more bets”, this is usually when the ball is slowing down and due to stop. The winners of the spin, or betting round, are those who placed their bets on the number where the ball dropped. Or those who placed their bets around the winning number or on a place where the winning number was covered, such as ‘odd/even’. In simple terms, if you want to increase your chances of winning at roulette then bet on multiple numbers at the same time with the same chip on the table. For example, rather than betting on just 14 as a single number, use your chip to bet on both 13/14, or 13,14,16 and 17 together. However, by doing so, you also decrease your odds and chances of bigger wins. Odds vary from game to game and casino to casino, but overall the odds are standard across the industry. Read more about roulette odds for specific details. 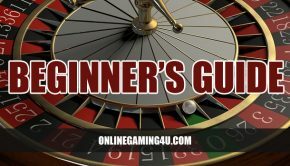 Note: when people refer to a jackpot in roulette, they are either referring to a game that is linked to a progressive jackpot or an individual number. Roulette in any form is a game of chance. Much like playing the lottery. However, some players use strategies to improve their chances of winning over multiple games or betting rounds. Depending on the roulette game being played, the house, or casino, always has the upper hand, or edge. This is usually around 2.5% for European roulette and 5% for American roulette. 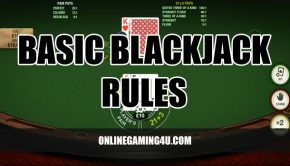 A few strategies that are popular with players include; the Martingale system, Fibonacci, 6 Pence, Cover The Table, Labouchere, Progression and Kavouras. You can research and learn each strategy by searching online for the exact title of the strategy. This website also covers strategies in more detail. You can also test out strategies by using demo mode on online casino sites. Demo mode is also known as practice play and allows players to test games using credits rather than their own cash. 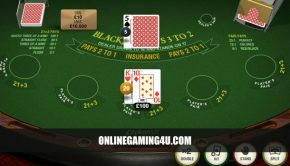 Want to play online roulette? See our dedicated page for roulette sites play from as little as 1p with bonuses up to £1000.